If you have decided to get even with your clutter, you have also decided to clear out and get rid of a whole lot of things. Otherwise, you simply will not get any closer to your goal. 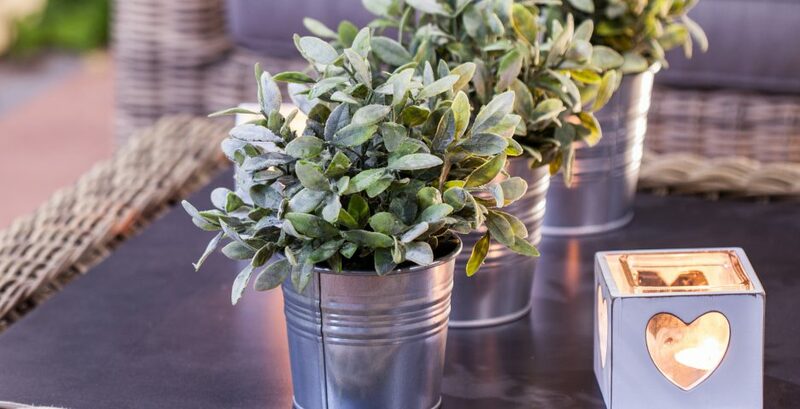 If a particular item is still usable, there are always alternatives to throwing it in the trash. I do not want to encourage wastefulness, only thoughtfulness. At the same time, I would like to point out that a lot of what we save in our homes, unfortunately is nothing but garbage. For many things, it would be impossible to find someone who would want to take them off your hands. There are many charities that happily accept clothes and other things that are nice, clean, and functional. Find the organizations in your area that accept these kinds of donations. There are even groups and second-hand dealers who will pick up bigger items, so you do not have to bother with moving them. The most important thing to remember when you decide to recycle or donate items is to act quickly. Gather everything in a bag or suitable container and pass it on as soon as possible. Otherwise, it could pile up and become more clutter. If you are giving them to family, friends, or acquaintances, you should arrange with them to pick the items up as soon as possible. Set a deadline. 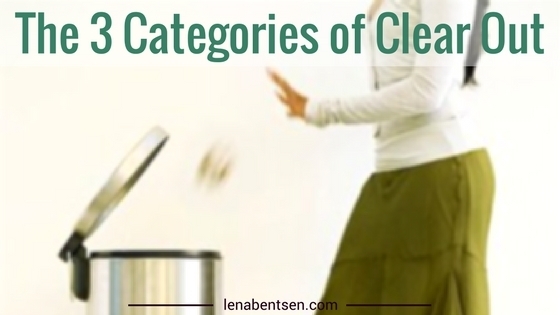 You cannot leave clutter piling up when you are about to move into a new, orderly life. One thing to remember: Only give things away to willing recipients. Do not pass on your clutter to people who are only accepting it to be polite. Passing on clutter is not allowed! For things of value, it might be a good idea to first determine whether or not it would be worth the effort of selling. Keep in mind that the process of selling might be a bit slow. Consider whether price is worth the hassle of storing the items, maybe for months, before they are sold. This has the potential to create new clutter. On top of that, if they need repair before being sold, you should really consider the situation carefully to make sure that you are not wasting your time and effort. Remember, by giving to charity you are donating. It might be better to give something away than to try to sell it. Do not be surprised to find that a lot of your clutter is normal waste: newspapers, magazines, envelops, things that are broken or useless, clothes, boots, handbags etc. Your clutter, in many cases, developed because you have put things in the wrong places. Instead of throwing them in the dumpster, you happened to put them in the basement or attic, hoping that they would be of value again one day. This rarely happens, so just start sorting! 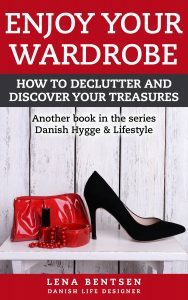 Next > Goodbye Clutter, Hello Freedom Paperback now Available! 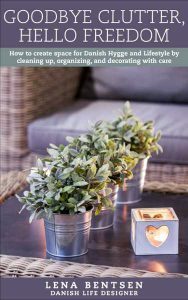 Do you feel overwhelmed by the clutter in your home? Danish Life Designer, Lena Bentsen’s new book can help. Buy this book today and start living the life you deserve! Are you tired of opening your wardrobe every day and not knowing what to wear because there is not enough clothing that feels right? Clear out your closet!